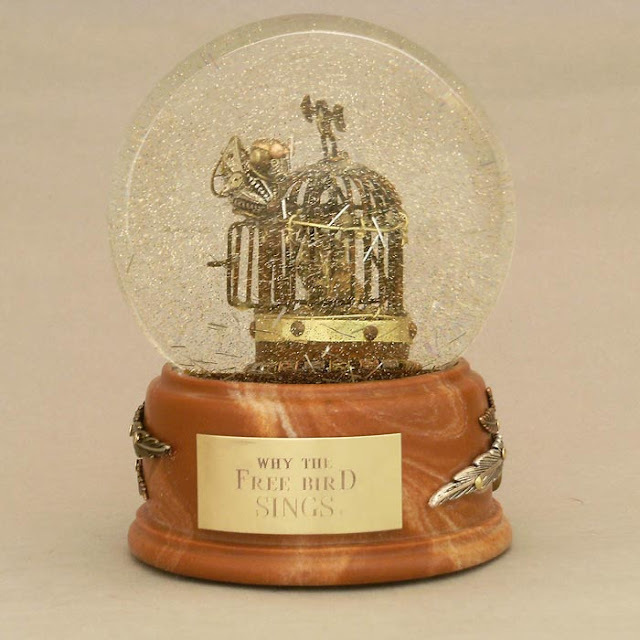 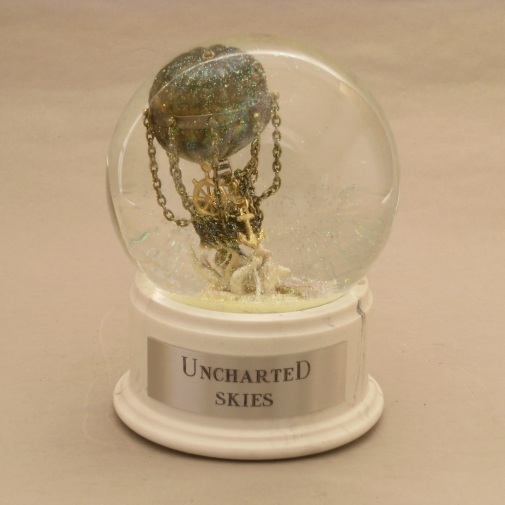 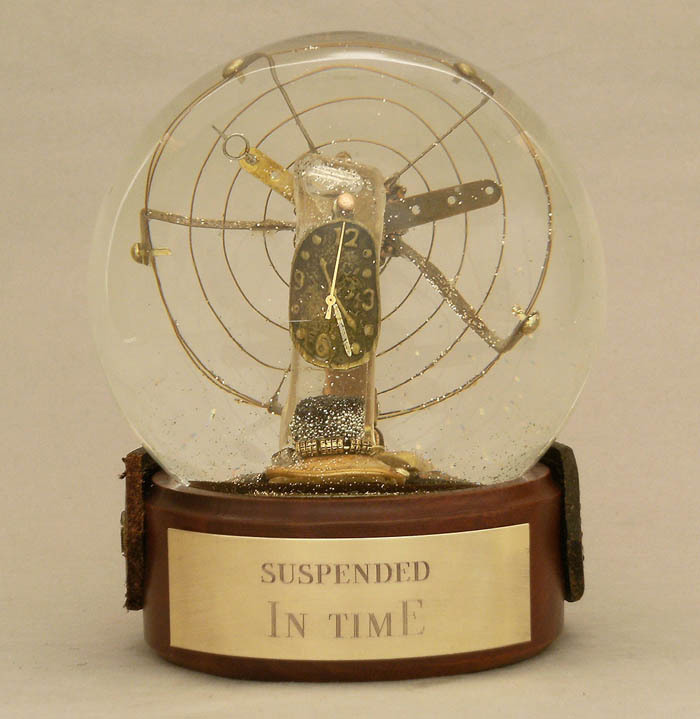 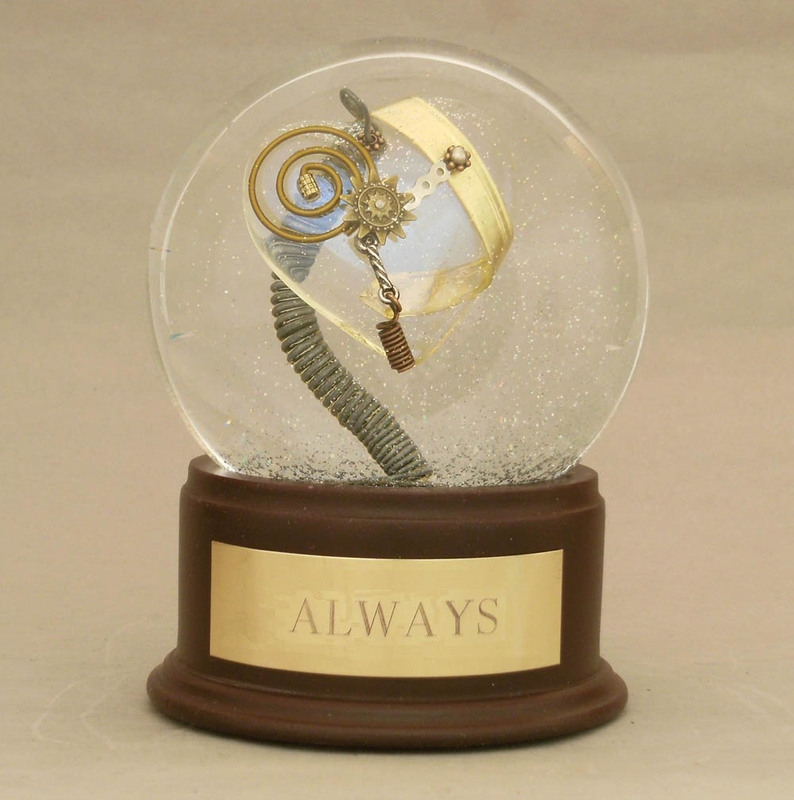 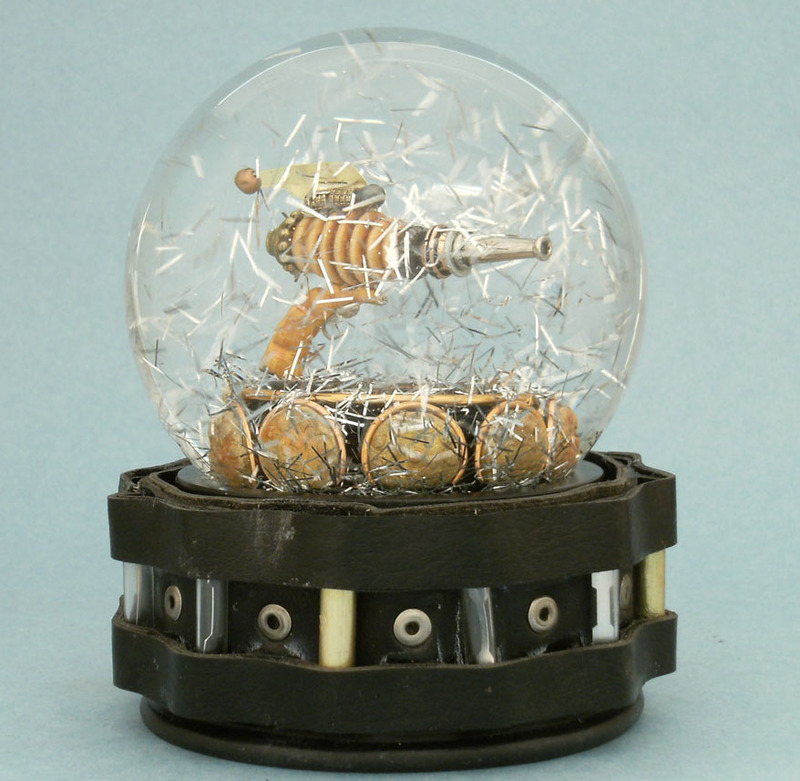 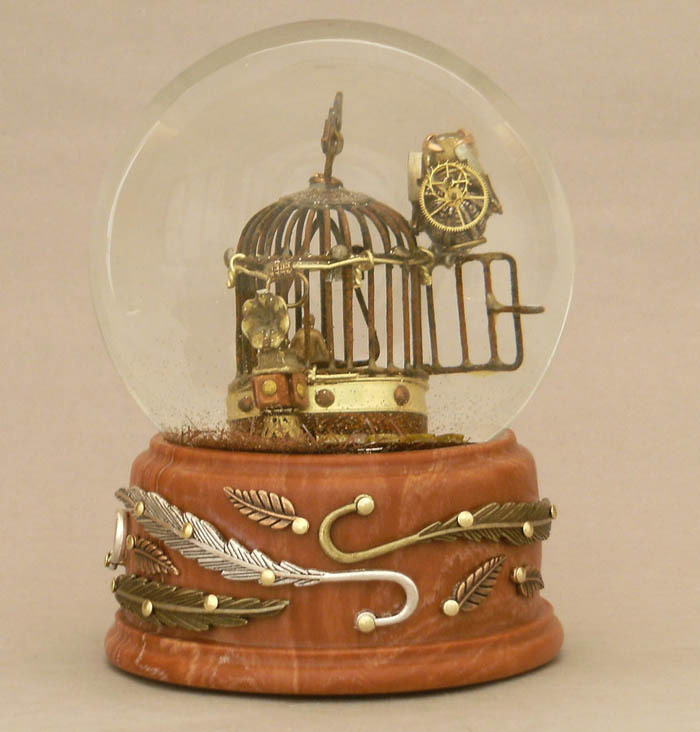 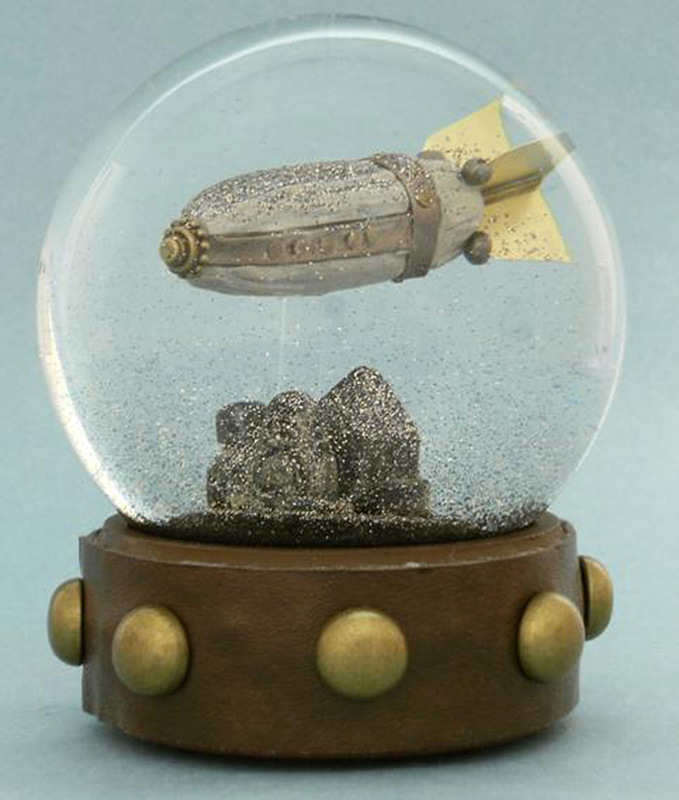 If It's Hip, It's Here (Archives): Steampunk Snow Globes By Camryn Forrest. 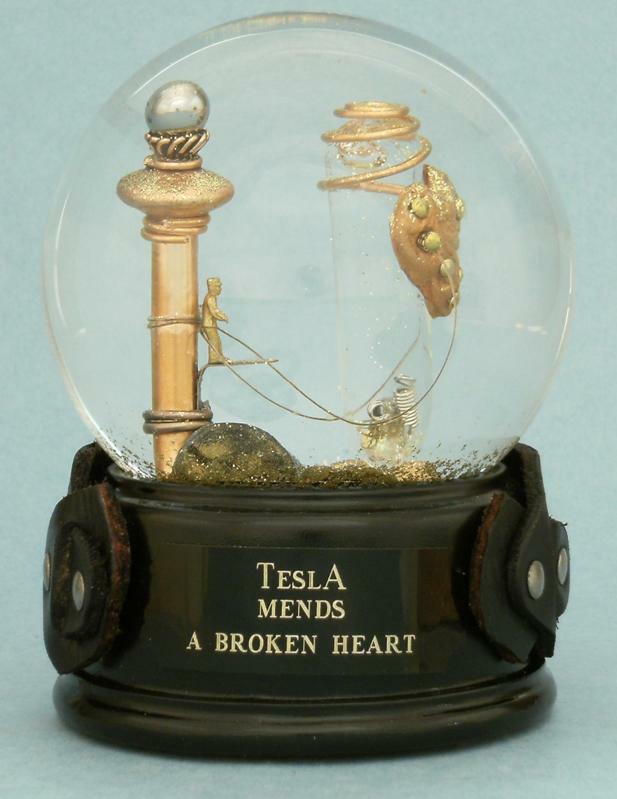 One Of A Kind Shakeable Art. 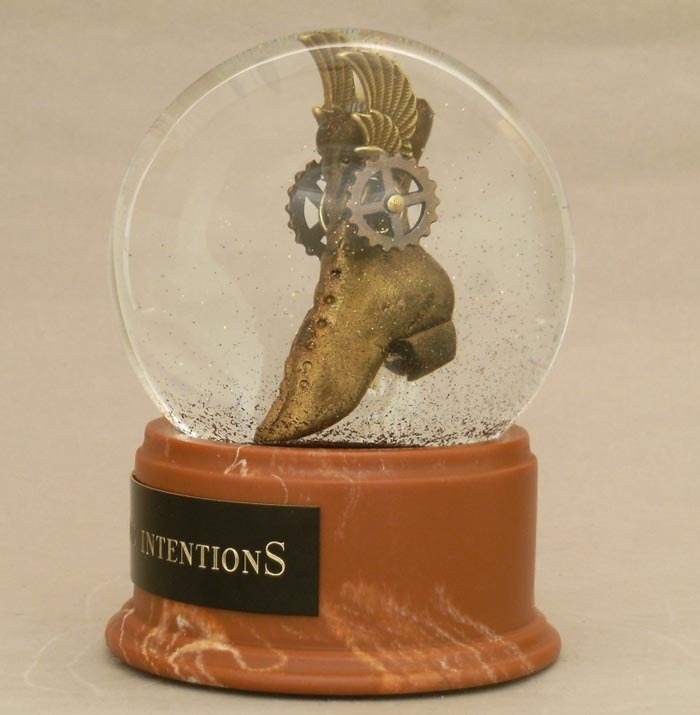 Steampunk Snow Globes By Camryn Forrest. 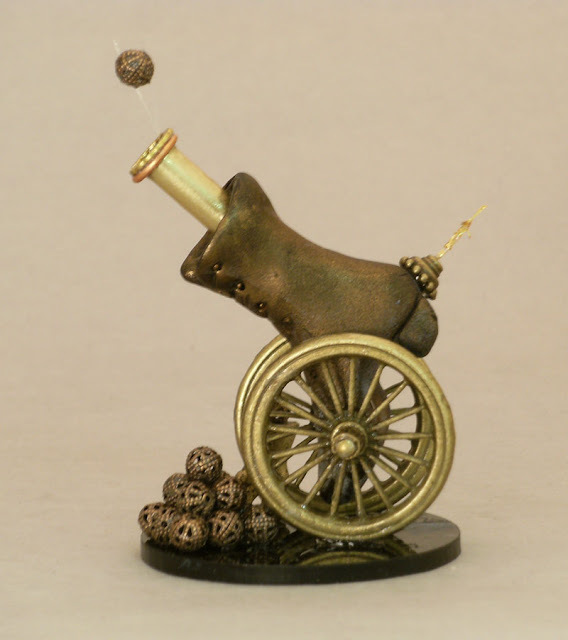 One Of A Kind Shakeable Art. Two of my favorite things have been combined by artist Camryn Forrest. 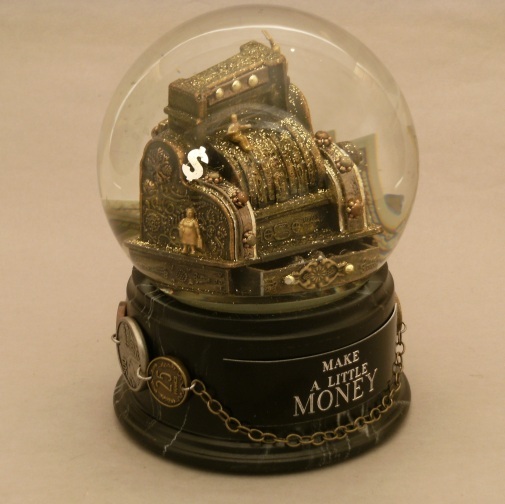 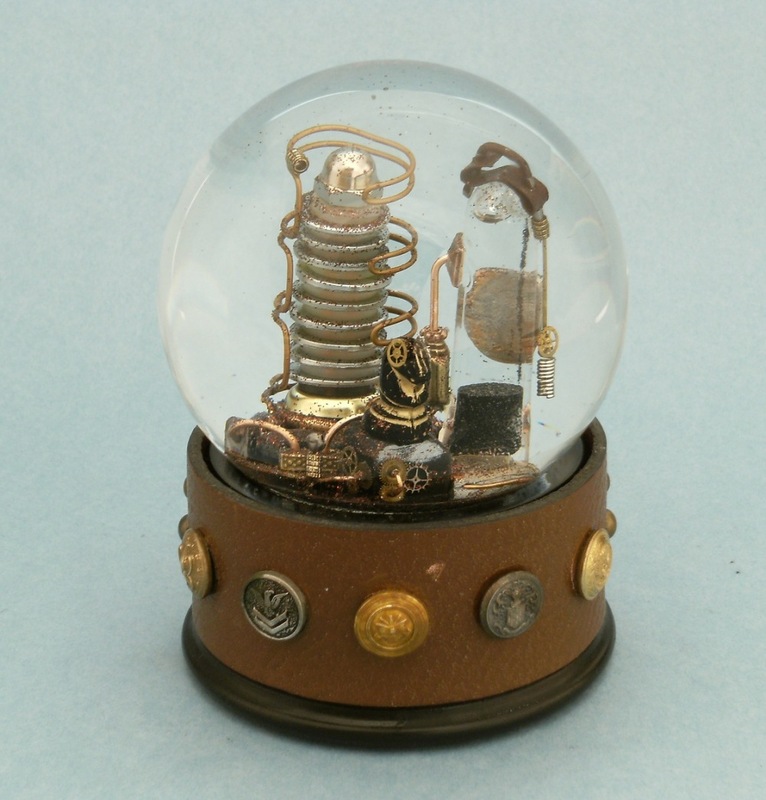 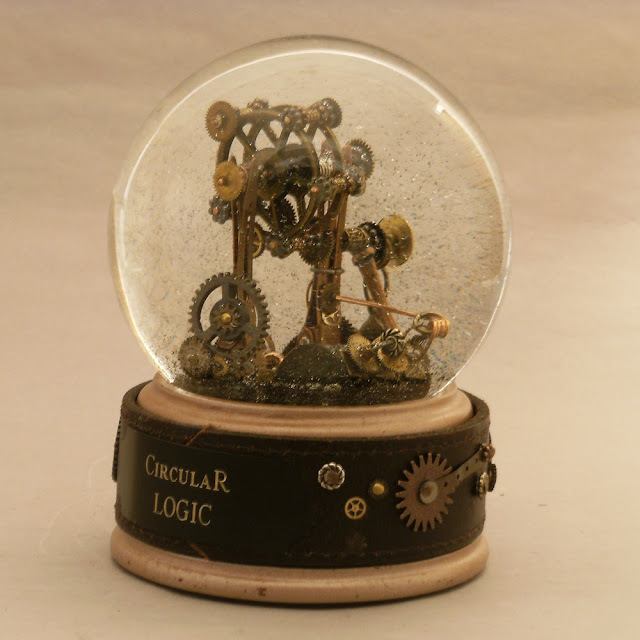 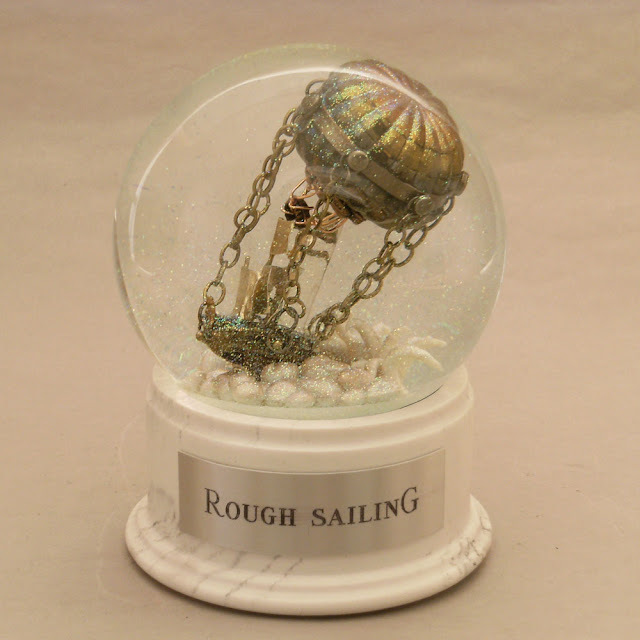 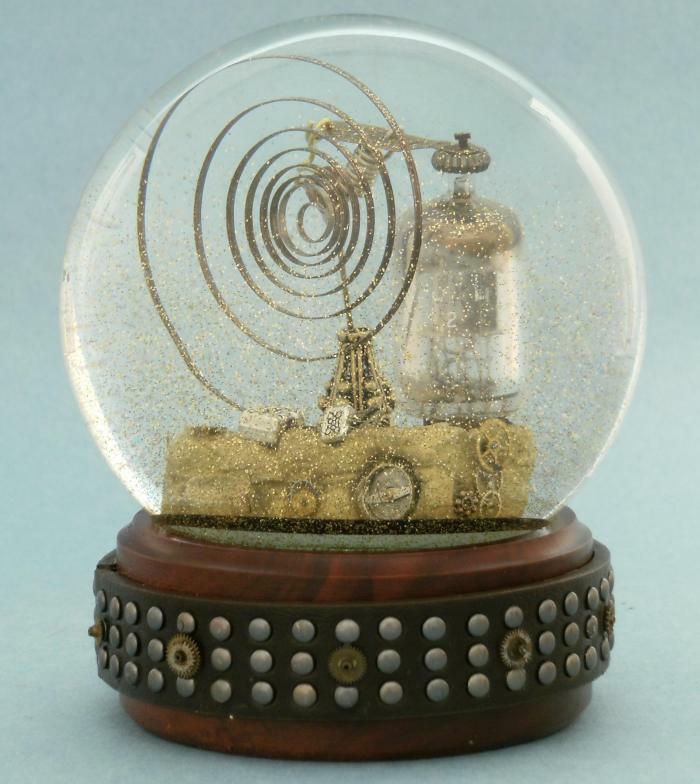 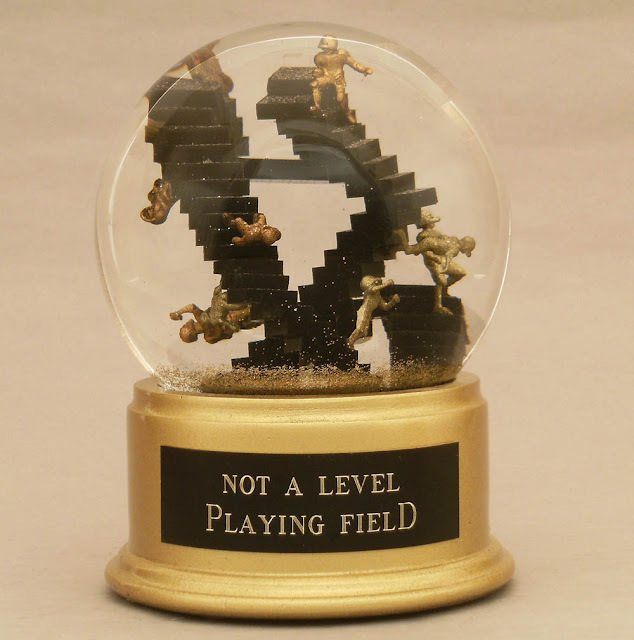 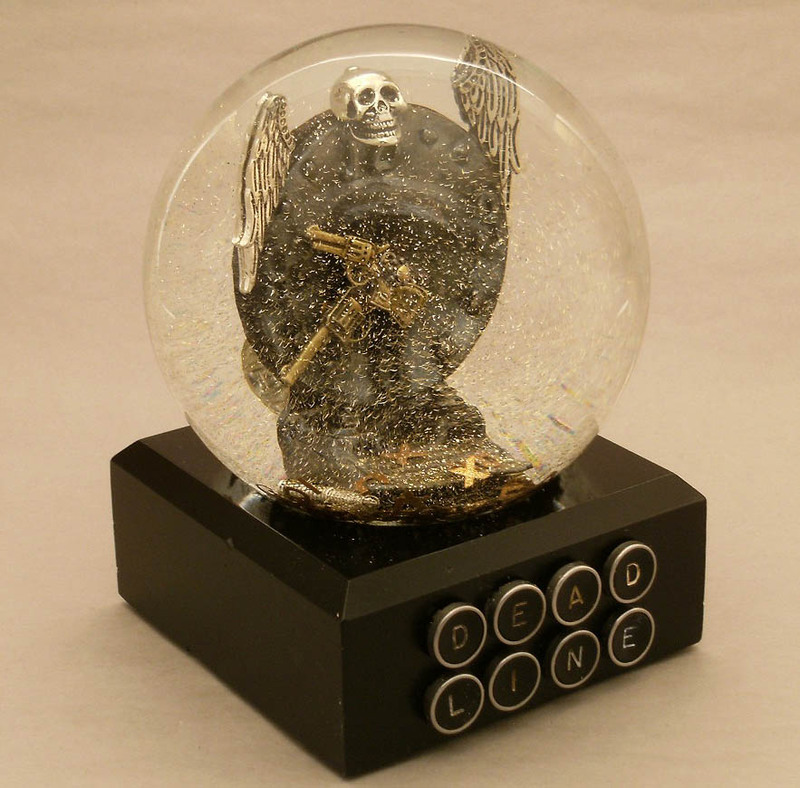 The Steampunk genre and the Snow Globe (or water globe or snowdome). 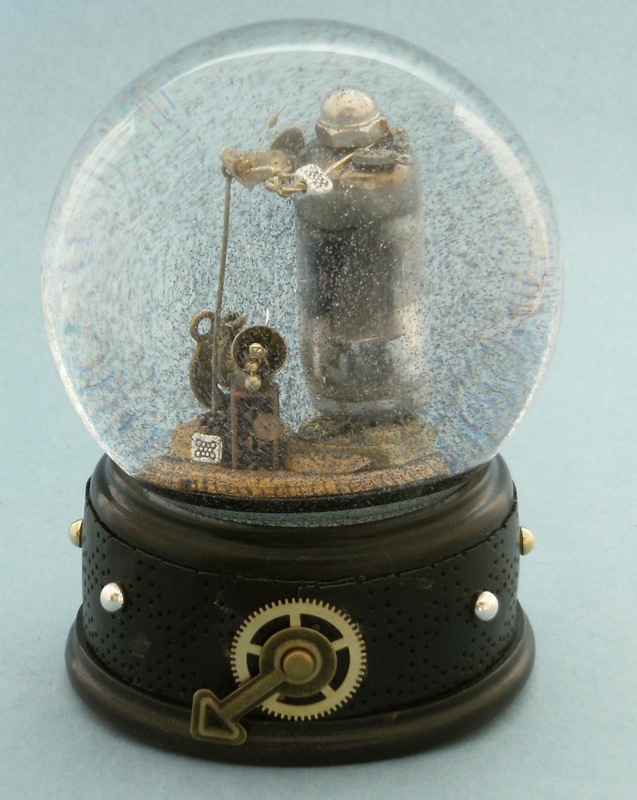 Her intricate little shakeable sculptures combine elements associated with the Victorian age of machinery along with copper, silver or rich pewter glitter as the "snow". 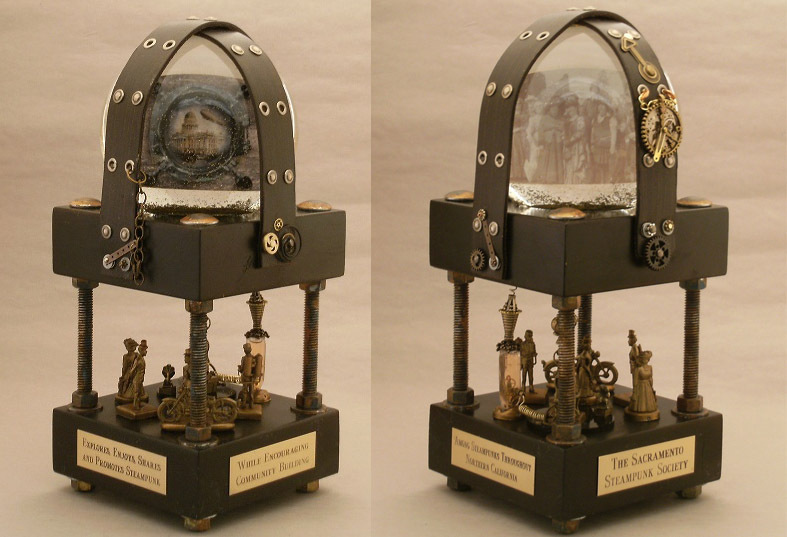 The bases upon which the glass encased sculptures sit vary in materials, from marble to woods, and are decorated with "Steampunk" styled embellishments. 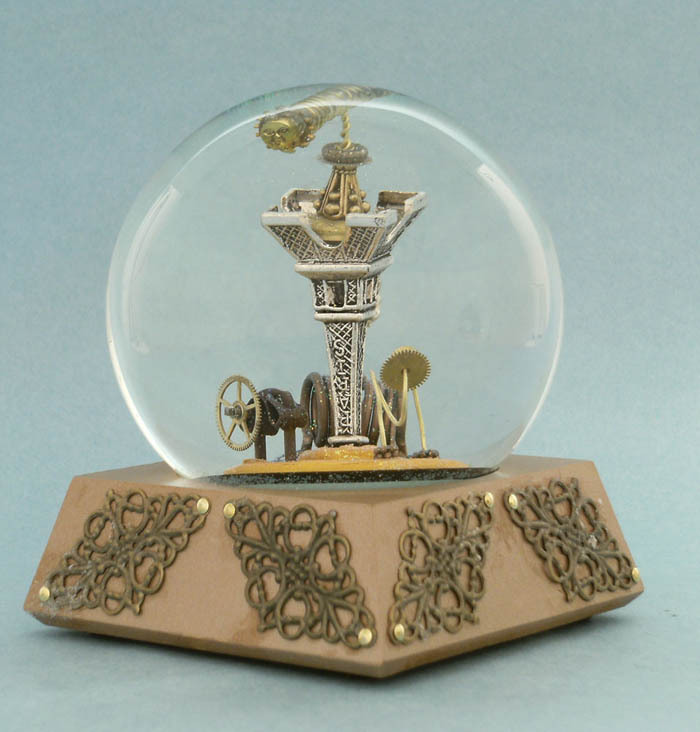 A single snowglobe can take Camryn from 6- 8 hours to build. 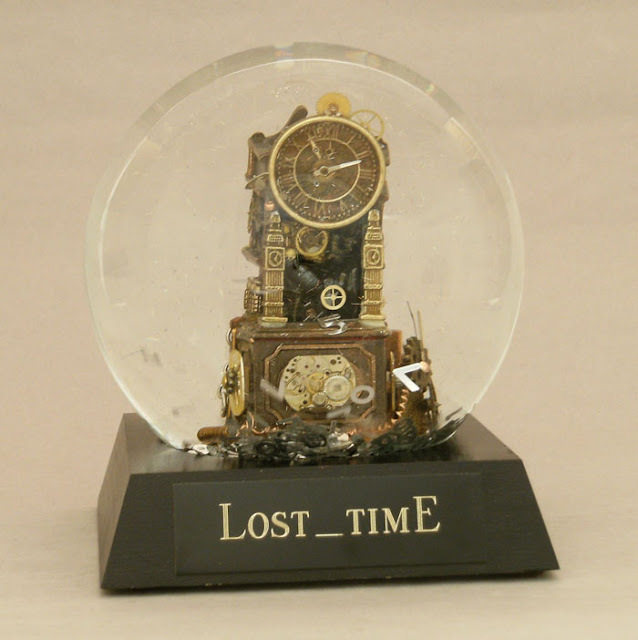 She uses different metals, leather, wire, jewelry pieces, disassembled clocks, watches, toys and found items as well as original clay and wood sculptures. She is careful to use recycled and re-purposed materials or objects as frequently as she can. above: In some cases, Camryn creates what she needs. 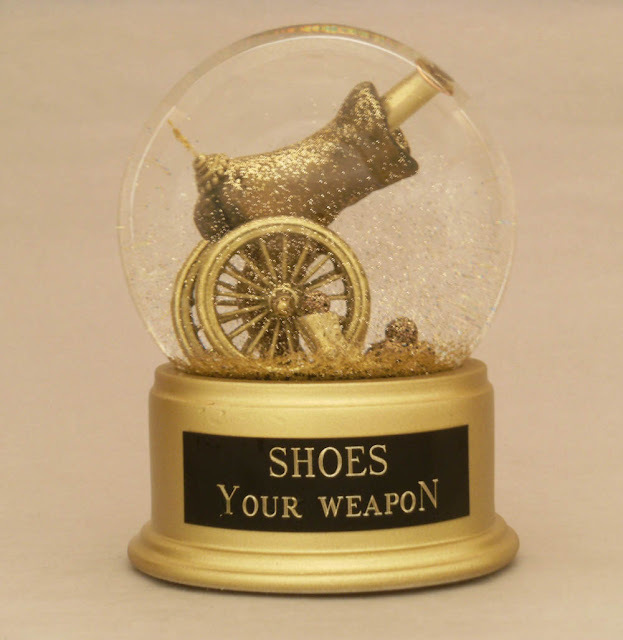 For instance, the piece, "Shoes Your Weapon" contains a a tiny Victorian ladies boot (shown above) that Camryn crafted and turned into a cannon. 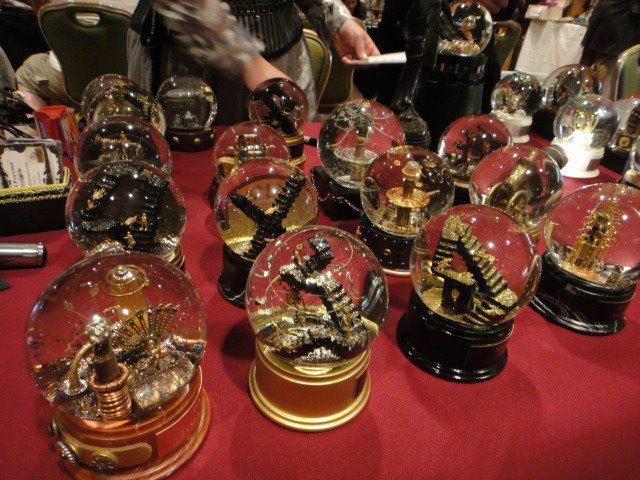 "All my life I have been fascinated with miniatures, from dollhouses to tiny souvenir buildings, to the worlds within snowglobes. 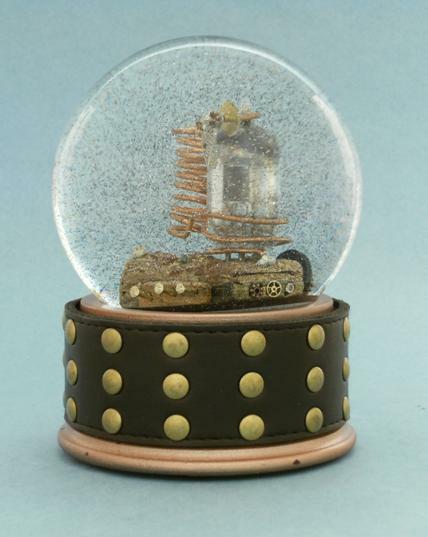 At many art galleries and shows, I wondered why I never saw snowglobes presented as art, and I began to experiment with making tiny sculptures to place inside globes. 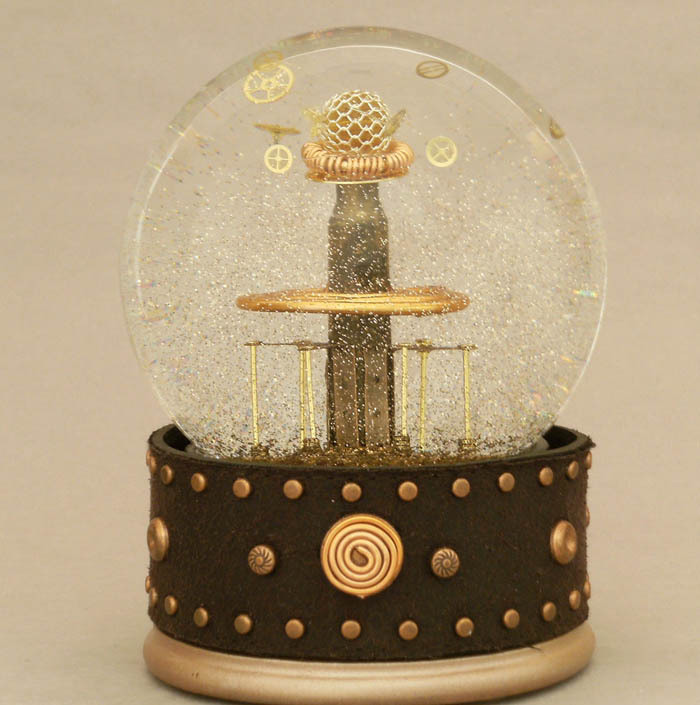 In addition, with the rich metallics, brass, leather and wood of my designs, “snow” did not seem right, so the floating glitter in this liquid is copper, gold, silver, and rich pewter in tone, glimmering as it sinks and swirls slowly." 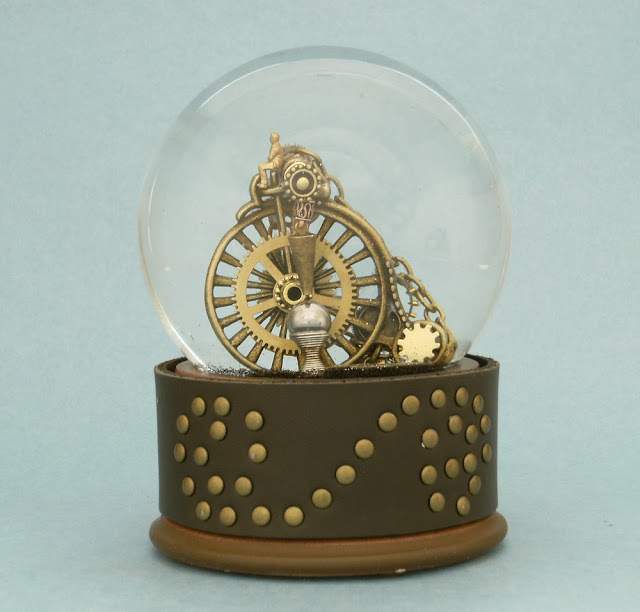 A technical note: Camryn Forrest Designs consists of two people: an artist with crazy ideas and a snowglobe engineer with technical expertise. 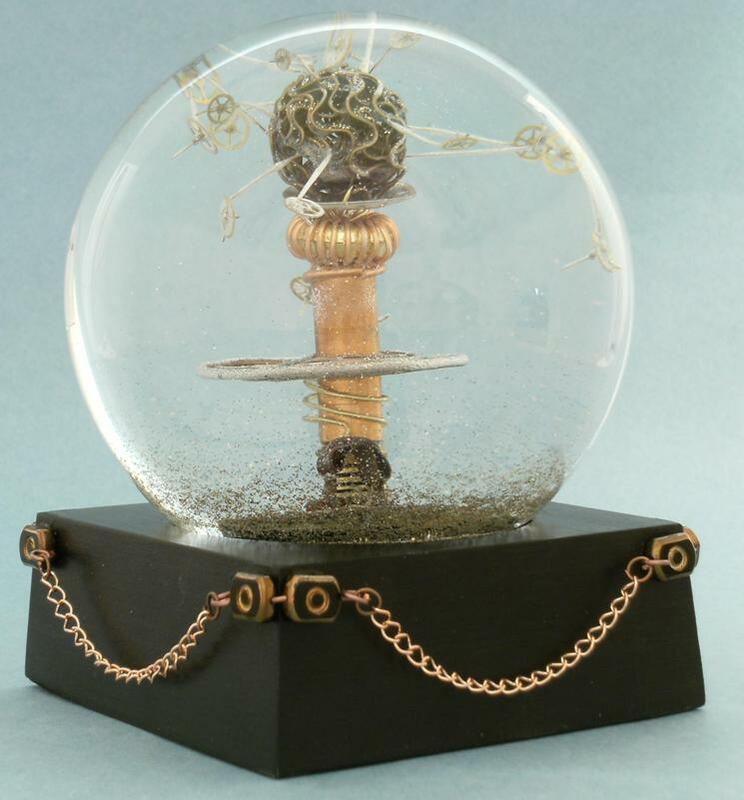 None of the snowglobes and waterglobes shown would exist without the efforts of both. 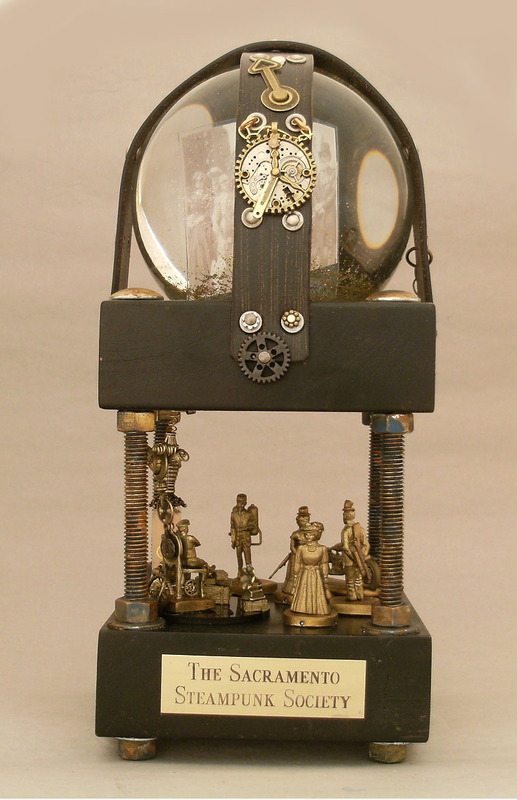 Once a sculpture is enclosed in both liquid and glass, there are challenges to photographing them and keeping them in focus through distortion, although all the detail is sharp and apparent when you hold one in person. 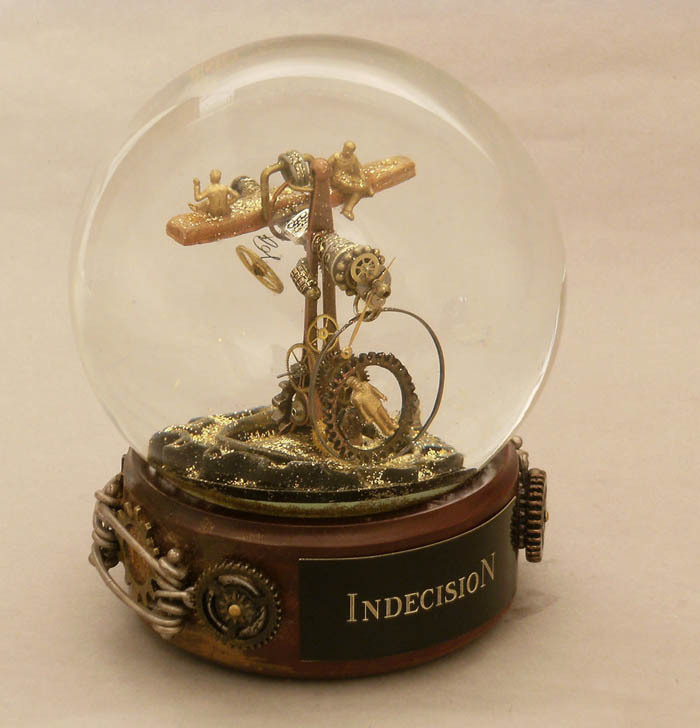 If you are interesting in purchasing or commissioning one of these little beauties, contact Camryn through her website. 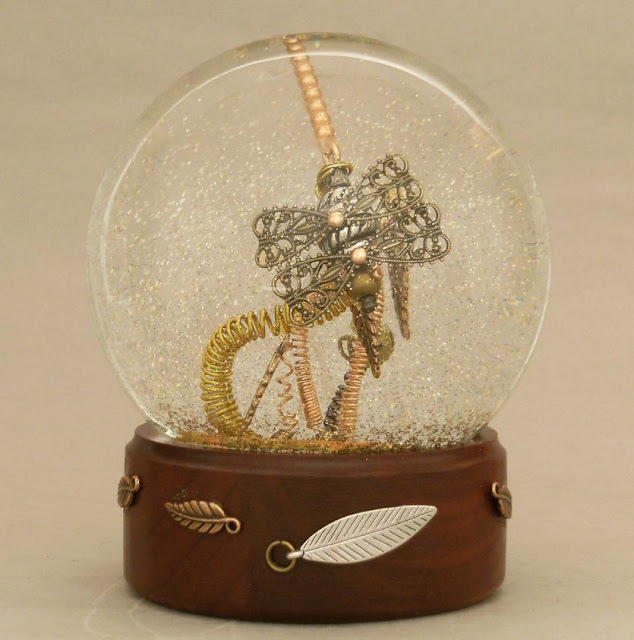 Or visit her etsy store, which she just opened!